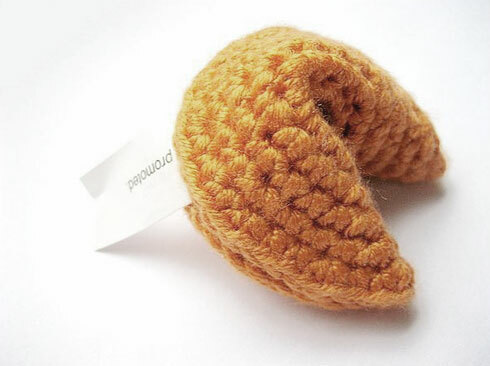 Following on from yesterdays post on how to DIY your own paper fortune cookies, how about crochet ones!? Jennipho has put together a cute little video to show you how to finish off the cookie once you have made a simple crochet circle. Watch the video here or visit Jennipho's etsy shop to buy handmade crochet cookies. This is crazy adorable! What a super cute idea.